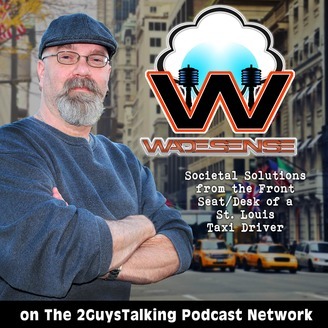 WadeSense are the on-going collective dialogues of St. Louis Taxi Driver Wade B. Olson. 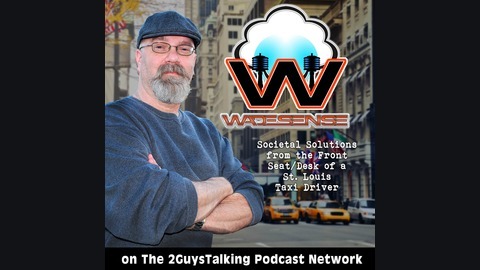 With more than 70,000 conversations to date and growing, Wade continues to create impactful solutions to social problems of all kinds, free of the poison of political correctness and irrational fear. Each week when we record a new program, that are ALWAYS extra YouTubery and Dummy Code segments left over. As our library has grown, the listing of links has become long and defined and well – it’s time to focus and share the links, details, stories and more that continue to overrun our listings! Take time to listen to this episode where Wade marshals a great series of YouTubery segments and thought-provoking Dummy Codes that’ll surely make YOU think “hmm…” It’s all inside this episode of WadeSense. — — The Editor Corps – We wanted to be sure that you know how much we appreciate the talents of our Editors, from the expert podcast editors at The Editor Corps. Please be sure to send them a note of thanks, and be sure to look them up if you’re looking to create a podcast! You will understand the value they provide INSTANTLY. — What are YOUR thoughts on this episodes topic? Tell Us Now! — What have YOU seen that would fit in to YouTubery? Tell Us Now! How Do We Rebuild Urban America?